The dance was inspired by the double spiral staircase in the castle in Graz, capital of the Styrian region of Austria, and represents going up the stairs, down the stairs and meeting on the stairs. Added on: March 18, 2017, 6:01 p.m.
Added on: Sept. 11, 2017, 2:51 p.m.
Watford & West Herts Scottish Society Improvers' and Beginners' Class - 04 September 2017 2017-09-04 Stuart Kreloff Aug. 24, 2017, 11:25 p.m.
Chiswick - 9 December 2018 Kilts & Posh Frocks 2018-12-09 James Wilson Oct. 30, 2018, 3:35 p.m.
Abingdon 30th October 2017-10-30 Sandra McLevy Nov. 13, 2017, 4:41 p.m.
Oldenburg 2018-11-26 2018-11-26 Martin McWilliam Nov. 25, 2018, 11:06 a.m.
Marion's 80th Birthday Party 2018-10-19 Bill O'Donnell Oct. 11, 2018, 11:50 p.m.
TSC in Evora 10th March 2018 2018-03-10 Amanda Peart Nov. 23, 2017, 3:54 p.m.
Watford & West Herts Scottish Society Improvers' and Beginners' Class - 20 November 2017 2017-11-20 Stuart Kreloff Nov. 18, 2017, 11:40 p.m.
Newark weekly 2019-03-19 2019-03-19 John Aitken March 16, 2019, 10:33 a.m. Branch Social: 31 March 2019 2019-03-31 John Watkins March 30, 2019, 9:42 a.m.
Bridge Allan 2016-07-23 Daniel Hintermann July 22, 2016, 11:37 a.m.
16 12 10 Brighton & Hove Christmas 2016-12-10 Chris Pratt Aug. 28, 2016, 5:36 p.m.
WDSA Spring Social 2019 2019-03-11 Graham Hamilton March 5, 2019, 9:48 a.m.
170114 Castle Club M Anderson 2017-01-14 Kate Kinnear Dec. 30, 2016, 6:02 p.m.
17 04 01 Ashdown 2017-04-01 Chris Pratt Jan. 23, 2017, 2:54 p.m.
Bedford SDG 2018-03-11 Supper Dance 2018-03-11 Keith Rose Jan. 27, 2018, 1:19 p.m.
Sunday Social with RSCDS Edinburgh & Dunedin Dancers March 2019 2019-03-31 RSCDS Edinburgh March 6, 2019, 11:38 a.m.
Joy's Programme 11 April 2017-04-11 Joy Scott March 14, 2017, 3:32 p.m.
17 05 13 Eastbourne 2017-05-13 Chris Pratt April 18, 2017, 4:37 p.m.
WDSA Summer Social 2017 2017-05-22 Graham Hamilton May 14, 2017, 5:24 p.m.
17 07 15 Moulsecoomb 17 08 05 Goring 2017-07-15 Chris Pratt May 14, 2017, 11:17 p.m.
17 08 05 Goring 2017-07-15 Chris Pratt May 14, 2017, 11:25 p.m.
Richmond ~ 190213 Dance 2019-02-13 James Wilson Feb. 11, 2019, 3:25 p.m.
Burns Dance Craigiebuckler 26 January 2019 2019-01-26 Brian Anderson Jan. 21, 2019, 1:24 p.m.
Atholl SCDC Week 17 Moira`s Programme 22/01/19 Website:www.athollscdc.co.uk/ 2019-01-22 Brian Martin Jan. 4, 2019, 12:20 p.m.
Cambridge Society Annual Ball - 5th May 2018 2018-05-05 Armaiti Bedford May 4, 2018, 11:57 a.m.
Headington 13 December 2018 2018-12-13 Sandra McLevy Dec. 11, 2018, 9:28 p.m.
18 01 06 Brighton and Hove 2018-01-06 Chris Pratt Aug. 22, 2017, 11:23 p.m.
17 10 07 Tunbridge Wells and Crowborough 2017-10-07 Chris Pratt Sept. 17, 2017, 8:56 p.m.
Watford & West Herts Christmas Social Dance 2017 - 21 December 2017 2017-12-21 Stuart Kreloff Nov. 10, 2017, 9:53 a.m.
Nantwich Scottish Society Burns' Night 2019 2019-01-26 Christine Grove Oct. 24, 2018, 4:38 p.m.
Peterborough & District RSCDS Afternoon Tea Dance 2017-12-08 2017-12-08 Amanda Peart Nov. 6, 2017, 12:51 a.m.
18 09 22 Brighton and Hove Tartan Ball 2018-09-22 Chris Pratt May 13, 2018, 10:42 p.m.
Chester Caledonian President's and Xmas Dance 2017 2017-12-09 Andrew Locke Nov. 26, 2017, 5:28 p.m.
18 11 03 Sevenoaks Reel Club 2018-11-03 Chris Pratt Sept. 8, 2018, 5 p.m.
18 06 02 SASS Boreham Street 2018-06-02 Chris Pratt April 8, 2018, 7:39 p.m.
18 04 07 Ashdown 2018-04-07 Chris Pratt Jan. 16, 2018, 10:06 p.m.
Duddingston 1 February 2018 2018-02-01 John Watkins Jan. 28, 2018, 11:08 p.m.
SEHSCDS November 2017 2017-11-10 Dance ForFun Sept. 24, 2017, 10:14 a.m.
19 03 02 Crawley 2019-03-02 Chris Pratt Nov. 18, 2018, 9:45 p.m.
Chiswick - 13 May 2018 (orig) 2018-05-13 James Wilson May 14, 2018, 12:22 a.m.
2019-03-16 Dunedin Spring Dance 2019-03-16 Ian Brockbank Nov. 9, 2018, 8:28 p.m.
Queensferry Lifeboat Dance - 16 Feb 2018 @ 7pm 2018-02-16 Bill O'Donnell Feb. 12, 2018, 1:07 p.m.
Maidenhead 2018-01-13 Highland Ball 2018-01-13 David McQuillan Feb. 4, 2018, 10:41 p.m.
Winchester 19 March 2017 Malcolm Austen March 15, 2017, 11:48 a.m.
Kuckucksnest CGB November 2018 Wednesday and Saturday evening 2018-11-24 Martin McWilliam Nov. 26, 2018, 2:19 p.m.
Summer Tuesdays 2018_08_21 2018-08-21 Graham Hamilton July 13, 2018, 2:33 p.m.
Chiswick - 13 May 2018 2018-05-13 James Wilson May 14, 2018, 12:24 a.m.
Clacks Annual Dance 27 April 18 2018-04-27 John McLean April 22, 2018, 9:27 p.m.
Alva 260718 N McLaren 2018-07-26 Mary Cant June 28, 2018, 3:23 p.m.
R 19th Sept 18 2018-09-19 Simon Stewart Sept. 10, 2018, 5:58 p.m.
PETER HOSKINS 2018-01-13 Peter Hoskins Oct. 21, 2017, 5:26 p.m.
Summer Tuesdays 2017_07_04 2017-07-04 Graham Hamilton June 2, 2017, 11:52 p.m.
Joy's Programme - 14 February 2017-02-14 Joy Scott Jan. 16, 2017, 9:39 a.m.
Richmond ~ 180919 Dance 2018-09-19 James Wilson Sept. 18, 2018, 7:35 p.m.
Dunedin Spring Dance 2019 2019-03-16 Rosalie Wilkie Feb. 14, 2019, 10:40 a.m.
Summer Tuesdays 2017_09_05 2017-09-05 Graham Hamilton July 7, 2017, 10:45 p.m.
Ian Robertson's Tea Dance - Sunday 24 September 2017 (Proceeds to Ollie's Fund) 2017-09-24 Jan Collings July 13, 2017, 11:48 a.m.
Long_Awaited_Party_2 2018-11-30 Stuart Kreloff April 24, 2018, 11:12 p.m.
Bennochy Parish Church 2018 2018-11-30 Jim Armstrong Oct. 10, 2018, 5:38 p.m.
TSC in Madeira (CD Week) 22-02-19 2019-02-22 Amanda Peart Nov. 9, 2018, 9:45 p.m.
Harrogate wknd 2019 Fri eve dance 2019-02-01 Lucy Fallon Jan. 6, 2019, 2:18 p.m.
Duddingston 25 January 2018 2018-01-25 John Watkins Jan. 21, 2018, 2:56 p.m.
RSCDS Wirral - Tuesday 16 October 2018 2018-10-16 Andrew Locke Oct. 5, 2018, 10:43 p.m.
Peterborough & District RSCDS Afternoon Tea Dance 2016-11-04 2016-11-04 Sheila Lewins Oct. 27, 2016, 11:27 a.m.
17 09 16 Ashdown 2017-09-16 Chris Pratt June 16, 2017, 8:40 p.m.
Chiswick - 19 November 2017 2017-11-19 James Wilson Nov. 20, 2017, 5:02 p.m.
Summer Tuesdays 2018_07_24 2018-07-24 Graham Hamilton June 8, 2018, 9:01 p.m.
Tavira Prog 2 2017-05-06 John McLean April 16, 2017, 7:18 p.m.
Bedford SDG 2019-05-18 Annual Ball 2019-05-18 Keith Rose Jan. 15, 2019, 1:36 p.m.
Peterborough & District RSCDS Annual Dance 2017 2017-10-14 Amanda Peart July 9, 2017, 7:01 p.m.
Chester St Andrews Presidents Night - Friday 5th April 2019 2019-04-05 Andrew Locke April 2, 2019, 3:34 p.m.
Aberdour Christmas Party Night 2018 2018-12-12 Bill O'Donnell Nov. 29, 2018, 11:32 a.m.
Richmond ~ 181128 Dance 2018-11-28 James Wilson Nov. 26, 2018, 6:42 p.m.
Inverurie Christmas Party - Dec 2017 2017-12-13 Brian Anderson Dec. 13, 2017, 4 p.m.
Münster Christmas Ball 2018 2018-12-22 Edwin Werner Nov. 26, 2018, 11:15 a.m.
Bude 3rd October 14 2014-10-03 Brian Rose July 15, 2014, 12:15 p.m.
Knutsford Invitation Evening 2019 2019-04-10 Andrew Locke March 8, 2019, 9:59 p.m.
Richmond 2018-02-14 Evelyn Norman Feb. 1, 2018, 1:46 a.m.
Sandbach Visitors Night - 5 March 2019 2019-03-05 Andrew Locke Feb. 28, 2019, 12:15 a.m.
Nantwich Summer Dance - Sat 24 June 2017 2017-06-24 Christine Grove Feb. 24, 2017, 8:31 p.m.
SQP_20180907Jersey 2018-03-28 Roland Telle March 28, 2018, 1:54 p.m.
Ashdale Hall Westhill (Aberdeen) 2017-04-28 Brian Anderson April 7, 2017, 1:59 p.m.
Peterborough & District RSCDS Charity Social Dance 2018-06-23 2018-06-23 Amanda Peart April 22, 2018, 6:41 p.m.
Kazan Spring School 2019 Ball 2019-05-02 Pavel Dvornikov April 20, 2019, 10:12 a.m.
Peterborough & District RSCDS Afternoon Tea Dance 2016-12-16 2016-12-16 Sheila Lewins Nov. 5, 2016, 12:12 p.m.
Benalmadena Sat 02 Mar 2019 2019-03-02 John Aitken Aug. 16, 2018, 12:02 a.m.
19 05 25 Bognor Regis 2019-05-25 Chris Pratt Feb. 17, 2019, 4:20 p.m. The Sunday Class in Tynemouth 17th September 2018 2018-09-17 Amanda Peart July 21, 2018, 6:34 p.m.
Chiswick - 19 November 2017 (orig) 2017-11-19 James Wilson Nov. 20, 2017, 5:01 p.m.
Lucy Clark SCDC Christmas Dance - Saturday 9 December 2017 Jan Collings July 14, 2017, 11:16 a.m.
RSCDS Wirral - Tuesday 23 October 2018 2018-10-23 Andrew Locke Oct. 22, 2018, 11:20 p.m.
TSC in Madeira (Band Week) 01-03-19 2019-03-01 Amanda Peart Nov. 9, 2018, 10:09 p.m.
Chiswick - 17 December 2017 Kilts & Posh Frocks 2017-12-17 James Wilson Nov. 6, 2017, 9:31 p.m.
Berkhamsted (BS&RC) Highland Ball 2018 Short list for Less Experienced Dancers 2018-02-10 Jane Rose Jan. 3, 2018, 11:43 a.m.
Linlithgow SCDC 21 September 2018 2018-09-21 John Watkins Sept. 13, 2018, 8:52 a.m.
Chester St Andrews Society End of Year Dance 2018 2018-12-28 Andrew Locke Dec. 9, 2018, 11:42 p.m.
Duns Xmas Dance 2017 2017-12-16 Dave Smith Dec. 9, 2017, 2:12 p.m.
Kirkliston Parish Church SCDC Spring Dance 2019-03-02 Bill O'Donnell Feb. 28, 2019, 11:42 a.m.
RSCDS Stirling Burns Dance 2018 2018-02-02 Jim Armstrong Jan. 28, 2018, 4:39 p.m.
Biggar Annual Dance 2018-04-27 Senga Simpson Feb. 19, 2018, 2:26 p.m.
161212 The More Unusual Dance Club 2016-12-12 Peter Dixon Nov. 22, 2016, 2:22 p.m.
Scone with Marian Anderson 170829 2017-08-29 Kate Kinnear July 31, 2017, 2:21 p.m.
161017 The More Unusual Dance Club 2016-10-17 Peter Dixon Oct. 18, 2016, 5:01 p.m.
Harrow WEd 26th Sept 2018-09-26 Dance ForFun Sept. 26, 2018, 1:36 p.m.
Harrow 2018-09-26 Dance ForFun Sept. 26, 2018, 1:36 p.m.
Stirling Burns Dance 25 Jan 7.30pm 2019-01-25 John McLean Jan. 20, 2019, 8:02 p.m.
Newark weekly 2018-04-03 2018-04-03 John Aitken Jan. 4, 2019, 10:02 a.m.
28.11.2018 2018-11-28 Simon Stewart Nov. 27, 2018, 5:19 p.m.
5 couple dances Rachel Pusey Jan. 23, 2019, 1:20 a.m.
LL Party Programme 2016-07-01 Dave Fielding June 28, 2016, 2:04 p.m.
16 07 17 Summer Dance 2016-07-17 Chris Pratt July 3, 2016, 11:08 p.m.
Burns night Stirling RSCDS 27/1/2017 2017-01-27 Jim Armstrong Jan. 26, 2017, 5:38 p.m.
Stirling with Marian Anderson 2017-07-22 Kate Kinnear July 17, 2017, 10:09 p.m.
Aberdour Spring Dance 18.04.18 2018-04-18 John McLean March 15, 2018, 6:34 p.m.
18 12 08 Brighton and Hove 2018-12-08 Chris Pratt Sept. 9, 2018, 9:43 p.m.
Newark weekly 2019-04-02 end of term 2019-04-02 John Aitken March 16, 2019, 4:55 p.m.
Headington Hogmanay Dance 2018 2018-12-31 Sandra McLevy Dec. 12, 2018, 9 a.m.
Scone 2015 08 04 2015-08-04 Kate Kinnear Aug. 2, 2015, 9:54 p.m.
RSCDS Falkirk 2019 Crieff Hydro - Friday 2019-01-18 Craig Skinner Nov. 26, 2018, 6:04 p.m.
Sleaford SCDC Annual Dance 2018-03-24 JOSEPHINE THORPE Feb. 27, 2018, 3:53 p.m.
Berkhamsted LEX Dance (for Less EXperienced Dancers) 2017 2017-12-08 Jane Rose Oct. 4, 2017, 8:19 a.m.
17 02 18 Worthing LaSER 2017-02-18 Chris Pratt Dec. 2, 2016, 8:41 p.m.
Northwich Visitors' Night and Christmas Party 2017-12-12 Christine Grove Nov. 23, 2017, 2:16 p.m.
Edmonton Caledonian Ball 2019 2019-02-16 Gail Michener Dec. 19, 2018, 12:31 a.m. 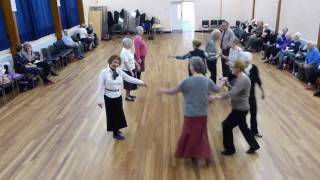 The Sunday Class St Andrew's Dance 2016-11-27 2016-11-27 Sheila Lewins Nov. 5, 2016, 1:37 p.m.
Malhamdale 2018 Saturday 1st December 2018-12-01 Janet Brayson Nov. 22, 2018, 4:53 p.m.
16 11 19 SASS AGM 2016-11-19 Chris Pratt Aug. 28, 2016, 5:28 p.m.
16 11 27 Sunday Class 2016-11-27 Chris Pratt Sept. 2, 2016, 9:22 p.m.
RSCDS LOCHABER 9TH September 2017 Jim Armstrong Sept. 5, 2017, 9:38 p.m.
18 04 21 Shaftesbury & E Knoyle 2018-04-21 Chris Pratt Oct. 10, 2017, 2:38 p.m.
Castle Club with Marian Anderson 171209 2017-12-09 Kate Kinnear Oct. 13, 2017, 3:34 p.m.
Adel Christmas Tea Dance 10th December 2018 Janet Brayson Nov. 6, 2018, 8:13 p.m.
Bedford SDG 2019-03-10 Social 2019-03-10 Keith Rose Jan. 10, 2019, 5:15 p.m.
Pitlochry 30/07/2016 2016-07-30 Daniel Hintermann July 25, 2016, 10:50 a.m.
18 11 17 Eastbourne 2018-11-17 Chris Pratt Oct. 3, 2018, 8:02 p.m.
Moulsecoomb Hall January 2018 Sarah B. Dec. 26, 2017, 10:14 p.m.
LSCDC Theme Night – Places 19 October 2018 2018-10-19 John Watkins Sept. 15, 2018, 10:09 a.m.
RSCDS Cheshire Branch Visitors Evening - 18 April 2018 2018-04-18 Andrew Locke Jan. 5, 2018, 8:54 p.m.
Northwich Scots Society President's Night Sat 10 November 2018 2018-11-10 Christine Grove Aug. 29, 2018, 3:46 p.m.
Chiswick - 16 September 2018 Start of Term Dance 2018-09-16 James Wilson Aug. 27, 2018, 3:06 p.m.
Hogmanay dance at Great Brickhill 2018-12-31 susan koffler Dec. 28, 2018, 1:46 p.m.
Pitlochry with Marian Anderson 2017-07-29 Kate Kinnear July 3, 2017, 2:59 p.m.
Dunfermline Picnic charity dance 2017-06-21 John McLean June 1, 2017, 1:09 p.m.
Helsby & District Caledonian Society - Presidents Night 2019 2019-04-27 Andrew Locke April 2, 2019, 3:44 p.m. 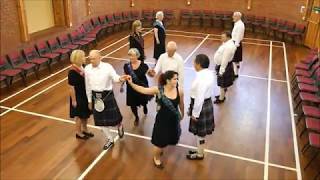 Win's Dance 2018-08-18 Steve Smith July 30, 2018, 10:53 a.m.
Aberdeen, Peterculter Parish Church Fr 20 April 7:30 2018-04-20 Brian Anderson April 12, 2018, 10:35 p.m.
Salem Advance Dance draft Charles Liu Aug. 28, 2018, 3:22 p.m.
Kinbuck 2019 2019-04-09 Kate Kinnear April 3, 2019, 12:26 p.m.
Scunthorpe Scottish Country Dance Club - 23 June 2018 2018-06-23 Margaret Spence May 20, 2018, 2:36 p.m.
18 01 13 SASS Moulsecoomb 2018-01-13 Chris Pratt Sept. 24, 2017, 8:26 p.m.
18 06 30 Brighton and Hove at Hurstpierpoint 2018-06-30 Chris Pratt May 13, 2018, 9:45 p.m.
Blairgowrie 15Feb2019 1930 Marian Anderson £6 2019-02-15 Mark Hagger Feb. 16, 2019, 1:33 p.m.
Northwich Scots' Society Visitors' Night 2018-12-11 Christine Grove Nov. 13, 2018, 10:31 a.m.
Milton Keynes RSCDS Ruby Jan Jones Feb. 27, 2019, 12:16 p.m.
Gerrards Cross Tea Dance 2019 2019-01-20 Joyce Wiles July 5, 2018, 6:55 p.m.
Gloucester Scottish Society 2018-11-24 Pam Latham July 12, 2018, 9:36 p.m.
16 09 17 Ashdown 2016-09-17 Chris Pratt July 12, 2016, 2:53 p.m.
Chiswick - 26 November 2017 (orig) 2017-11-26 James Wilson Nov. 27, 2017, 12:33 p.m.
Pitlochry with M Anderson 2015-08-29 Kate Kinnear Aug. 26, 2015, 2:49 p.m.
Dundee Autumn Dance 2019 Mary Cant March 27, 2019, 2:42 p.m.
Dunblane SCDC - Charity Dance 2017-06-09 Bill O'Donnell June 8, 2017, 9:17 p.m.
Chiswick - 20 May 2018 Club Night 2018-05-20 James Wilson April 9, 2018, 8:42 p.m.
180617 Brighton RSCDS 2018-06-17 Rodney Burrows March 22, 2018, 3 p.m.
18 03 10 SASS Charity Ball 2018-03-10 Chris Pratt Dec. 20, 2017, 8:31 p.m.
18 06 17 Brighton RSCDS Strawberry Tea 2018-06-17 Chris Pratt May 20, 2018, 10:37 a.m.
Hayes 2018-11-10 Simon Stewart Sept. 18, 2018, 11:21 a.m.
Joint Lothian Dance - 06 April 2019 2019-04-06 John Watkins April 3, 2019, 8:25 a.m.
Hogmanay Hoolie, Bridge of Allan, FK9 4NW 2018-12-31 Bill O'Donnell Dec. 28, 2018, 11:03 a.m.
Joint Lothian Dance - 06 April 2019 (Copy) 2019-04-06 John Watkins April 3, 2019, 8:37 a.m.
Bingham Methodist Centre, Summer Dance 06 Jul 2019 2019-07-06 John Aitken March 12, 2019, 9:48 a.m.
2018_02_10 Berkhamsted Strathspey & Reel Club Highland Ball 2018 2018-02-10 Gerard Elliott Jan. 2, 2018, 10:50 a.m.
20180630 Pitlochry with Marian Anderson 2018-06-30 Kate Kinnear May 24, 2018, 12:48 a.m.
171106 - 171110 Grange-over-Sands (Dancing and Walking Holidays) 2017-11-06 Truus de Ceuster Sept. 30, 2017, 4:09 p.m.
Chester Caldonian Xmas and Presidents' Night 2018-12-08 Andrew Locke Oct. 28, 2018, 11:01 p.m.
Abingdon & Harwell Ball 2017 2017-12-02 Malcolm Austen Aug. 23, 2017, 1:39 p.m.
18 09 15 Ashdown 2018-09-15 Chris Pratt Sept. 2, 2018, 9:12 p.m.
17 06 03 SASS 2017-06-03 Chris Pratt May 13, 2017, 4:32 p.m.
Nantwich Diamond Anniversary Ball Sat 24 March 2018 2018-03-24 Christine Grove Oct. 23, 2017, 5:52 p.m.
Hogmanay Hoolie - Bridge of Allan FK9 4NW 2016-12-31 Bill O'Donnell Dec. 28, 2016, 12:36 p.m.
Hogmanay Hoolie - Bridge of Allan 2017-12-31 Bill O'Donnell Dec. 29, 2017, 8:52 p.m.
Silvercross 2017-12-02 Matthew Goulden Dec. 2, 2017, 4:53 p.m.